Seismological Society of America > News > Annual Meeting > How Often Do Cascadia’s Megaquakes Occur? How Often Do Cascadia’s Megaquakes Occur? 16 May 2018–Devastating magnitude 8.0 to 9.0 megathrust earthquakes and accompanying tsunamis appear to have hit the U.S. Pacific Northwest and Southwest Canada about every 500 years on average. But some scientists think the recurrence interval between some of these large earthquakes may be shorter—along the lines of every 300 years—in the southern part of the Cascadia subduction zone in Oregon and its coast. To resolve this question and others, the Cascadia Recurrence Project Team has been working for more than a year to analyze and compare the evidence for past megathrust earthquakes in the region. At the 2018 SSA Annual Meeting, U.S. Geological Survey seismologist Joan Gomberg gave an overview of the Project’s work to date. If magnitude 8.0 earthquakes do happen more often than every 500 years in the southern part of the Cascadia zone, for instance, this information could change the earthquake hazard estimates used to develop building safety codes, said Gomberg. “Adding these earthquakes into our recurrence calculations could change our estimates of likely ground shaking by about 40%,” she noted. The last megathrust earthquake in the region, the 1700 Cascadia earthquake, may have had a magnitude between 8.7 and 9.2. Scientists think the rupture may have extended from Vancouver Island to as far south as northern California. The Project is a multidisciplinary team of researchers from the USGS, state and regional natural resource and geological surveys and universities. The team has been collecting and analyzing evidence for past megathrust earthquakes from a variety of sources, including fault rupture models, ground motion simulations, landslides, coastal land level changes, tsunami deposits and ocean sediment deposits produced by strong shaking and underwater slope failures. 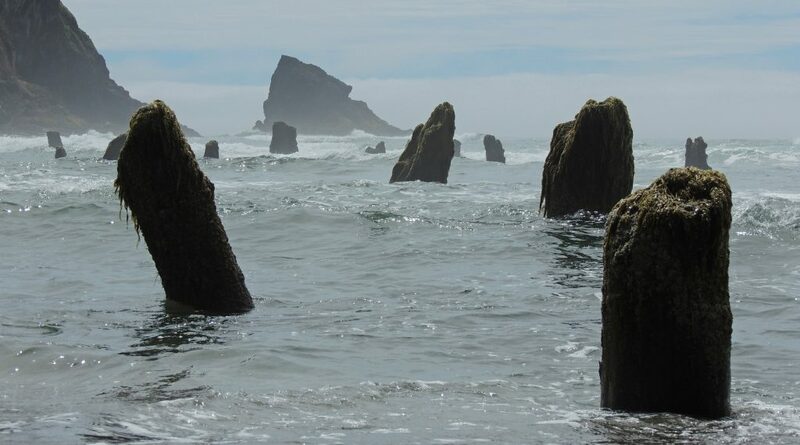 Evidence for a potentially shorter megathrust recurrence interval in southern Cascadia comes from research that has identified and assigned dates to this last type of geological deposit, called turbidites, said Gomberg. Although these types of evidence have been studied for decades in some cases, the Project is the first to piece together and compare studies from a wide range of disciplines to develop a detailed picture of Cascadia’s megathrust history, Gomberg said.